Shirley’s husband of forty-two years died suddenly of a heart condition. Brittany’s husband has served in the U.S. Army in Iraq for the past nine months. This was supposed to be their first Christmas together, but he won’t be home. Martha is homebound and lives in an assisted living facility; her family is hundreds of miles away. Stuart’s son died; everyone asks how his wife is doing, but no one asks how he is feeling. Shelley was recently divorced and lives with her mother, again. There is a myth that holiday grief affects only those who have a loved one who died. The truth is holiday grief and anxiety affects many people—all experiencing different life-changing situations that challenge them to find a reason for the season. For each, holiday celebrations will change, and they aren’t going to be what they used to be. Perhaps, you remember the paintings and covers of the Saturday Evening Post during the 50s and 60s? Norman Rockwell’s pictures always told a story. His pictures portrayed American life and values. People rushed to the newsstands to buy the prestigious magazine and find rapture in the scenes he illustrated. His era with Post ended in 1963, but his masterpieces continue to tell the stories of life the way it used to be. We are influenced by the great images of artists such as Rockwell. If only life could always be “as we would like it to be.” We struggle through the daze of holiday grief and give in to myths that complicate our already clouded view of the holidays. Grief and holidays come burdened with many myths. A myth is a story that is not true and may be handed down from generation to generation, like a legend. It is often a fabricated story that cannot be validated. A myth, however, is something very easy to believe, because we want to believe it. Grief makes us vulnerable to many myths. Because our beliefs and attitudes are very powerful forces in our lives, we have a perception of what the holiday should be like based on “ideal” holidays. Often, our perception of the holiday may be a myth. What kind of holiday do you picture this year? Is it a season filled with doom and gloom, or can you step aside from your grief and create a Norman Rockwell kind-of holiday in which everything is nearly perfect? It is possible to change the myths and create new realities that will allow you to step through the season with grace and sanity and with you in control. Here are a few ideas of how to expose these myths and replace them with a new reality. Myth: Holiday grief begins around Christmas Eve Day and ends right after New Years Day or when the decorations come down. Truth: Holidays often begin earlier for most people. In fact, holidays may begin as early as Halloween. Around our house, the holidays began just before the deer-hunting season. Typically, we were experiencing first snow, and the men would begin celebrating the “spirit” of deer hunting while the women began building the “spirit of the season” by shopping. This was our tradition. After our son, Chad, died, that tradition lost its glow. The harsh reality was that hunting wasn’t as exciting as it used to be, and Chad wasn’t going. Some friends gave us a DVD of Chad at one of his last hunting parties at the shack. It had been fourteen years since his death, and the DVD lay on our table because we were both so fearful of seeing his image and experiencing the raw loss again. Finally, we played the DVD and with tears of great joy (and sadness) we witnessed the spirit of our beautiful son who loved to “clown around,” dance, and hang out with the guys. It was a “good” cry. The holidays still begin around hunting season for us, but it’s not about hunting any more. Gary gave up hunting, but I didn’t give up shopping. The focus shifted from Christmas and gifts, to our holiday program and enjoying ongoing relationships with family and friends. So how do you dissolve the myth and create a manageable holiday? Plot out a time frame for your holiday season…whether it is a week, a couple of days or however long you think the “hard” times will be. Create a signal for yourself that tells you when that period of time is over. For us, it is taking down the Christmas tree. It’s our sign of relief that the holiday is over and we can go back to routine. Prepare for the uncomfortable moments and the inevitable thoughtless questions and remarks. In your mind, determine how you will answer, and stick with your rehearsed answers. Plan an escape. If you might be trapped in a “captured” setting, drive your own car. Or, when you wish to leave, have a ready excuse. You determine when. Myth: At gatherings, it is inappropriate to mention fond memories of our loved one who died. It makes others feel uncomfortable. Truth: Holidays are a time for reflection. Remembering our loved ones is essential to our good health and healing. Stories and memories will be with us for our lifetimes and are the one true source of pleasure. Create a safe environment and remember out loud. Say his or her name and chuckle at the rich stories of life. Shed a tear and follow it up with silently saying, “I still love you.” Teach others that love lasts forever; that you need to remember, and this is your reality for handling grief. I can picture Norman Rockwell illustrating the scene today. The family may be gathered around a loose-bound, well-illustrated collection using the hottest scrapbooking skills. It’s a volume of endless pictures that tell a life story through stamping techniques, assorted mementos, anecdotes and written interpretation of a particular event or day. A memory candle burns softly on the same table. Family and friends of all ages share the experience with mixed expressions: smiles, tears, chuckles, finger-pointing and hugs. Myth: Traditions are something you do year after year, and they aren’t meant to be changed. Truth: Just because we always did it that way doesn’t mean we can’t infuse our celebration with new ideas that fit into this generation of living and the present moment. So how do you dissolve this myth and create a manageable holiday? Be open minded. Reflect on past changes in other families as well as your own. If traditions bring unhappy memories, change them. Don’t let others tell you how to spend your day. There are no set rules. Create a family contest for who can come up with the best “new” tradition. It’s admirable to take pride in the traditions that work. Myth: When the second holiday season comes around, I will be over my grief and can return to the old traditions. Truth: The second holiday may feel just as sad as the first. And for many, returning to the past holiday traditions is no longer desirable. For us, the second holiday season wasn’t as easy as I originally thought it might be. But because we changed the traditions during the first holiday season, it was easier to accept that the change was good, and we wanted to do it that way again. Remember grief is a process, and that requires a different amount of time for healing for each of us. Don’t hurry the process. If the second holiday is still painful, you can try for the third. In the meantime work at removing the barriers between peace and past. Future holidays will always lack some of the precious moments of past years, but that doesn’t mean holidays can’t be good. I can picture Norman Rockwell illustrating this life change by sketching a bereaved mom and dad serving meals in the big kitchen at a local shelter or gently consoling someone less fortunate with a loving hand on their shoulder. A church bell gently tolls outside the window while delicate snowflakes filter through the streetlight. A bright star, the star of HOPE, shines magnificently in the distance. Hope is an attitude of the spirit, and energy for the soul. It challenges myths and creates new realities. Norman Rockwell’s illustrations in today’s time might be very different than they used to be. His artistic gift would depict human values that show deep sensitivity to life’s pain. While he showed “life the way I want it to be,” new illustrations could witness to the testimonies of triumph over grief, and life “the way it is.” This year, be like Norman Rockwell; create a new canvas. 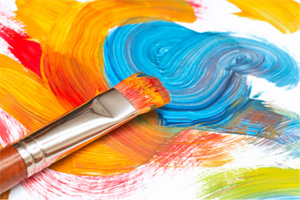 Paint your holiday the way you want it to be. Note: These ideas are taken from Nan’s holiday program “the Myths of Holidaze Grief” presented in 2007 for the bereaved in her community. If you are interested in a published version of this program, please contact Nan. 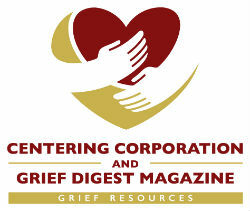 Other themed holiday bereavement programs are currently published. See the ad in this magazine or visit www.wingsgrief.org.